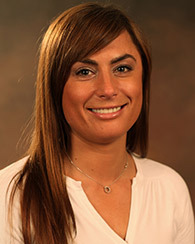 I am Vesna Balac, M.S., RT(R)(MR), Director of the Radiologic Sciences Programs at IU Northwest. I have been with IUN for 9 years and have enjoyed being a part of the wonderful faculty in our department and College of Health and Human Services. Our department offers an Associate of Sciences Degree in Radiography, which is fully accredited and has been a highly regarded program for 40 years. We also offer a Bachelor of Sciences Degree in Radiologic Sciences which has 3 separate concentrations. We admit 40 students each summer into our AS degree which is highly competitive. Our BS degree options include 3 concentrations: Clinical/ Health Management for the AS Radiographers, Diagnostic Medical Sonography and Radiation Therapy. We are very proud of all of our graduates and they have had much success on their national boards over the years and in the job market as well. Being part of the larger College of Health and Human Services has afforded us the opportunity to expand our experiences for our students. Most notably, our faculty and students participate each summer in a cadaver imaging experience in collaboration with the IU School of Medicine. Let me welcome you to Radiologic Sciences, and enjoy browsing our pages to learn more about us!